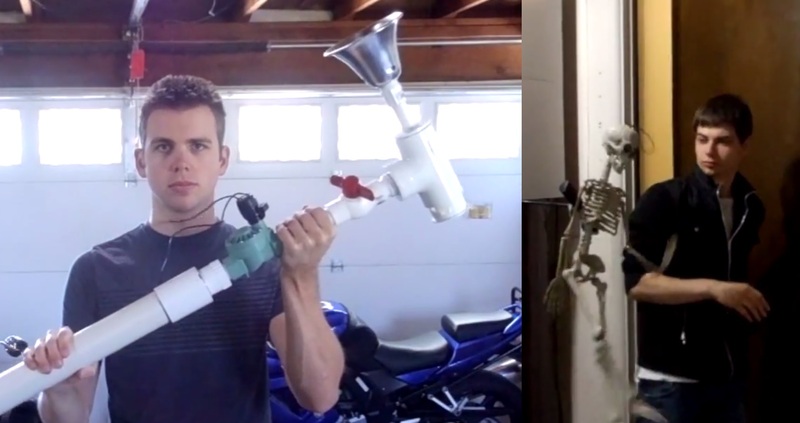 We see a lot of Halloween projects attempt to scare people. Many of them work with the element of surprise, jumping or flashing lights when triggered. We’ve noticed though, people have come to expect those things. This project is a real sleeper. No one expects a couple car horns to blare in their face when they push the pumpkin’s nose. We know it would make us jump. You can see it in action as well as get the entire circuit from his site. We doubt his neighbors will find it as amusing as we do.